After a much longer wait than is typical, this morning the Mayor of London, Boris Johnson, announced the fares levels that will apply to TfL services and National Rail services within the TfL zonal area from 2 January 2014. 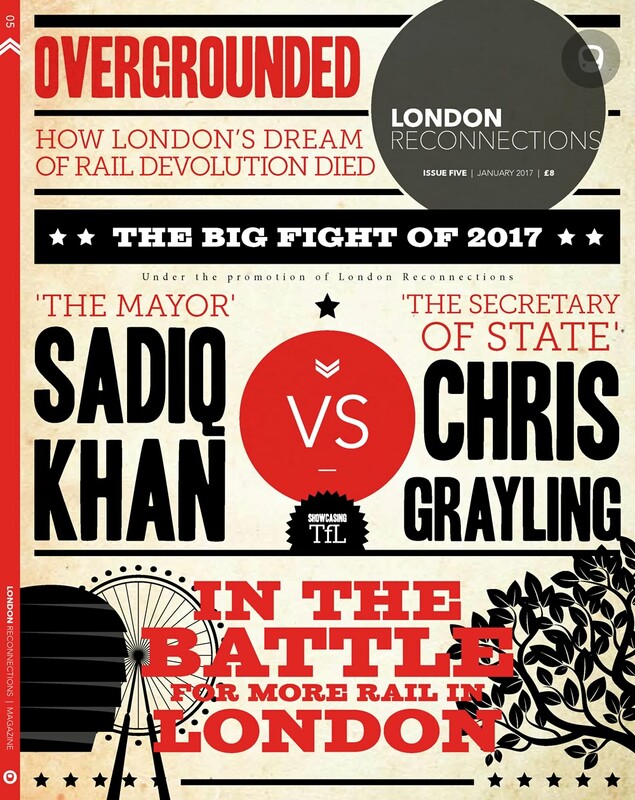 Full details of TfL fare and season ticket prices are in the Mayoral Decision document. On average TfL fares will increase by 3.1% which is equivalent to the RPI value for July 2013. To arrive at the RPI level of increase, however, there are a mix of increases and no changes to some fares or daily caps. The Mayor has said that a mix of savings and increased commercial revenues at TfL has allowed the lower level of increase and that he has met his promise to “bear down on fares”. However bus passengers may well not be convinced, nor will those people who buy Travelcards where prices will increase. Travelcard prices are jointly set with National Rail, meaning those prices typically increase by the expected RP1+1% level of 4.1%. Fares for National Rail journeys where the NR PAYG tariff applies will see increases averaging 4.1%. People in South London, who are much more reliant on NR services, will thus see little benefit from the Mayor’s initiative. The Mayoral Decision document does make clear though that it has been a challenge for TfL to fund this year’s fares freeze on top of the existing efficiencies programme and reductions in government grant. The fares yield for TfL is expected to be £115m of which the Tube contributes £68m, Buses £39m and TfL Rail £8m. Beyond this year, TfL will continue to use RPI+1% as a planning assumption for future years. The PAYG Oyster Bus and Tram Fare will increase by 5p to £1.45 (a 3.6% increase). The cash bus fare remains at £2.40. The Daily Bus and Tram Cap is also unchanged at £4.40. The 7 day Bus and Tram Pass rises by 80p to £20.40 (a 4.1% increase). The Contactless Bank Card Bus Fare will rise to £1.45, making it the same as Oyster PAYG. There is no change to the concessions for child travel on buses and trams. PAYG fares for the TfL tariff, which apply to Tube, DLR, Overground and certain National Rail routes, increase by 10p for peak and off peak journeys in Zone 1 and for off peak journeys in Zones 1 and 2. All other PAYG fares on the TfL tariff within zones 1 to 6 are unchanged for 2014. PAYG fares in Zones 7 to 9 are also unchanged. The National Rail PAYG tariff does see increases for both peak and off peak travel. Fares increase by 10p to 20p depending on how many zones are travelled through. Through Tube and Train tickets into Zone 1 increase by 10p to 30p as the operators have increased the “add on” fare element for Zone 1. The Zones 1 to 6 Tube / Train peak fare rises to £7.50 which will also become the new peak “entry / exit charge” for PAYG for missed touch in or touch outs or exceeding maximum journey times. The off peak equivalent will increase by 20p from £4.90 to £5.10. Tube cash fares that include Zone 1 increase by 20p making the Zone 1 cash fare £4.70 – more than twice the PAYG fare. The Zone 1 to Zone 6 PAYG peak return fare is unchanged at £10 (£5 each way). Child PAYG flat fares for rail travel in Zones 1 to 6 are unchanged at 80p peak and 75p off peak. One Day Travelcard Anytime (peak) prices will increase by 40p-60p. However these increases only apply to paper tickets. The off peak paper One Day Travelcard for Zones 1 to 6 is frozen at £8.90. The Zones 1 to 9 off peak paper One Day Travelcard increases by 50p to £12.60. However the Zones 1 to 2 and Zones 1 to 4 versions are withdrawn from 2 January 2014 meaning a substantial increase in costs for people in zones 1 to 4 unless they switch to Oyster cards and use daily capping. The reduction in the range of paper one day Travelcards suggests there is a policy to phase out the paper One Day Travelcard product. The Daily Cap values, both peak and off peak, for Oyster card users remain at 2012 levels. The incentive for people to use Oyster cards compared to magnetically encoded paper tickets therefore increases substantially. Weekly Travelcard prices increase by around £1-£2.40 (approximately 4.1%) depending on the number of zones purchased. The standard multipliers of Monthly tickets being 3.84 times the weekly rate and Annual tickets being 40 times the weekly rate remain unchanged. Some examples of new prices are set out below. PAYG fares to those National Rail stations outside of the Greater London area have not been announced. We must therefore wait to see how much it will cost to travel to Watford Junction (London Midland), out to Cheshunt and Shenfield (Greater Anglia) and to Grays (C2C). There are no announcements this year about extension of Oyster Card coverage to other National Rail stations outside of the Greater London area. Similarly there is no update about the launch of Contactless Bank Card acceptance on rail modes or daily capping. The scope of fares concessions is unchanged except for holders of 16+ Zip Cards who will benefit from half price PAYG fares and daily caps when using National Rail services in the zonal area. There are no changes to the time bands for peak PAYG charges – they remain as 0630 to 0930 and 1600 to 1900 Mondays to Fridays. The time at which the off peak period starts for One Day Travelcards also remains unchanged (it is still 0930 Monday -Friday and all day Saturdays, Sundays and Bank Holidays). There is no change to the off peak PAYG charging rule whereby off peak PAYG fares are charged on the TfL Tariff when people travel from Zones 2-6 into Zone 1 between 1600 and 1900. The Oyster Card deposit is unchanged at £5. There is no information as to whether the auto top up minimum card balance has been increased. There are no changes to charges for the use of the Barclays Cycle Hire Scheme. The Mayor has announced that cash fares for a single cross Thames journey on the Emirates Air Line will increase by 10p to £4.40. All other adult and child single fares also increase by 10p except the “multi user” discount fare of £1.60.